Most people are taught at a young age to be polite. Like many aspects of expat life, most of us assume what constitutes good manners is universal until we relocate. It is then we realize that the expectations are not the same. Because people are frequently judged by their manners, nothing as formal as diplomatic protocols, but the importance of good manners should not be underestimated. As a general rule, a person cannot be too polite so I always recommend erring on the side of being gracious. Whether it is greetings, punctuality, visiting, serving people, toasting, dining, gift giving, thanking, or offering something, standard etiquette rules do not exist. 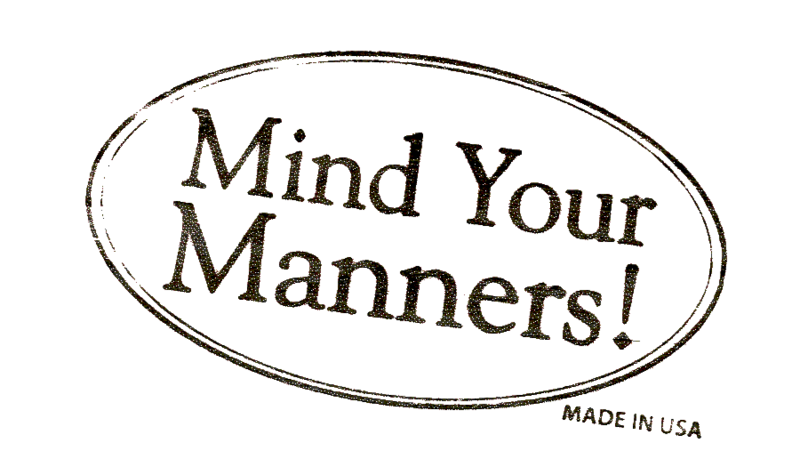 Good manners are important in business as well as in social situations. The differences depend on the culture but can also be impacted by type of situation. Nine major areas are addressed below to help you to understand the range of variation, however the nuances are too plentiful to list; you will need to research your specific country etiquette to determine what constitutes good manners in your location. A greeting is our initial contact with a person so we want to get it right. We need to learn whether it is best to shake hands, kiss on the cheek or bow. Etiquette questions includes who is greeted first, must you be introduced, should you stand up when you have been sitting or would it be appropriate to greet everyone at a meeting after the meeting has begun. People will be impressed if you have taken the time to learn to properly say the local verbal greeting too. How strangers are greeted is frequently overlooked but can make an impression on the locals in your new community. Do not think it is fine to simply ignore them. Here are some examples of the norms around the world: in the United States it is not unusual to greet people in your neighborhood or on walking path, in Belgium and France it is polite to greet the sales assistant before asking for help and in Germany people say hello and goodbye when entering and exiting an elevator. Even in countries where punctuality isn’t as much of a priority, most cultural guides suggest that business associates, job applicants, clients or patients arrive before the schedule appointment time. They may have to wait but this is advisable because you do not want to be unavailable when the person with whom you are meeting is ready. Fashionably late may be as much as an hour but is usually about thirty minutes. When you have been invited to a social engagement, try to confirm when you are expected to arrive. In some places, arriving at the stated time on the invitation is too early. Is dropping in, to see a friend or neighbor when you have an hour or you are in the area, acceptable? In some countries this is a common practice. However, in other countries this would be quite rude. ‘Coffee’ needs to be scheduled in advance, perhaps a couple of hours or even maybe several weeks. As we get to know people in a new country, it is important to know the proper approach. We don’t want to be too presumptuous but we also don’t want to be too rigid. At a recent international women’s meeting, all of the guests were advised to ‘help themselves’ to a beverage. The hostess had put all of the refreshments out on a table for the guests and was busy with other tasks. My Belgian friend waited until she could ask the hostess for permission to serve herself because she was very uncomfortable with the idea of serving herself. Some cultures are very hostess-driven while in other cultures the hostess wants to mingle with the guests and doesn’t want to feel like a servant. However both have the same ultimate goal, to ensure everyone is enjoying themselves. Some countries have very formal rituals/protocols related to toasting. Who toasts and when, what word or phrase is used, do they sit or stand, who fills the glasses, are they emptied completely, do you toast to a group or individuals, are glasses tapped, are all components of the toast where variations exist. Understanding the nuances is particularly important at business events. Here are a couple of examples that demonstrate the complexities: in South Korea the person sitting next to you fills your glass and vise versa, in China use the toast ‘Gambai’, in Sweden look each person in the eye, in India the guest of honor is expected to make a toast after the host’s toast or at the end of the meal and in Brazil the guest of honor toasts to the good health of the host and other guests. Due to the complexities and ritual nature of toasting, research is a must to determine the local practices. In more casual situations, error on the side of caution, always wait for the host to drink first before taking a sip from your glass. Similar to toasting, a number of rules exist that may be different than you are expecting. Even if there are no place cards, there may be designated seating, consequently ask where you are to sit. Other considerations may be how food is eaten, whether to clean your plate completely, where to put your hands and napkin should be placed, on the table or in your lap. Even if it is a business meal, when it is appropriate to discuss business isn’t consistent. Do some research, ask someone in advance and observe the people around you to gain insight into expectations in your new country. Gifts are given when people are invited into someone’s home, for life celebrations such as birthdays or weddings, and sometimes in the course of doing business. What you give, in what it is wrapped, when it is opened and the value of the item are all essential aspects of gift giving. An HSBC commercial clearly exemplifies a gift giving difference. In the US when a person makes a hole-in-one in golf he/she buys the members of the foursome a drink but in Japan, the person is expected to give expensive gifts to the other members of the foursome. While technology plays a role in how thanking occurs, it is rare that someone feels over thanked. Learn whether written ‘thank you’ notes are expected after visiting someone’s home, for gifts received or condolence cards. When someone has taken the time to purchase a gift or open their home to you, a ‘thank you’ note indicate your appreciation and will be valued. In some cultures, people automatically decline whatever they are offered. Consequently, it is always a good idea to offer 2-3 times when someone says “no thank you” to determine if it is a true “no” or it was a polite “no” but actually, “I really would like the coffee, small gift, or help that you offered me”. Whenever you are invited to someone’s home for a social activity. Always offer to help or bring something. The offer may be declined but generally people would appreciate your willingness to help them. We are guests in another country so it is nice when we are creating a good impression of ourselves and our home country. Good manners are noticed and appreciated so ensure that you and your family are well-versed about what is expected to be polite in the local culture. It may open doors and help you to build new relationships. Please tell us what is consider polite in your culture that might surprise people from another culture?